We are so excited about the way the Lord is building our family! We brought our precious son Abe home from Ethiopia in 2011, and he is such a JOY! The Lord has used this journey of adoption to teach us more about what it is to be adopted into His family. It is our prayer that our lives would reflect that love, and that our children will grasp all that the Father has done for them. 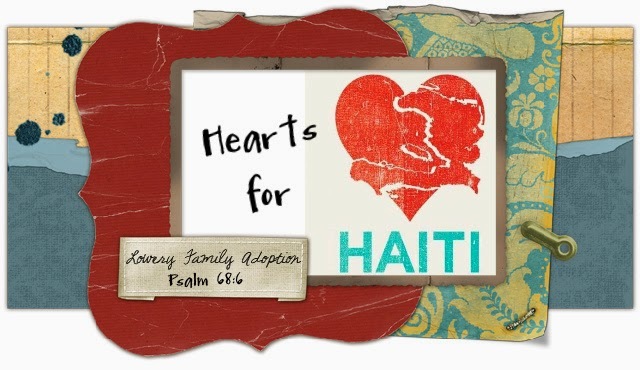 Join us on our continued journey to become a family of 4 through our adoption from Haiti! I took a video of Daddy & Abe tubing...it kind of looks like Ben's feet belong to Abe. Pretty funny. :) They had a blast! At the end of the summer Ben's brother & sister-in-law and our 2 nieces moved back to Texas! Josh has just begun a Masters program at DTS, and they are living in Wylie. It's so nice to have them back here. Our niece, Ella, will be 5 in December, and her little sister (Norah) is just a few months old! Abe calls Norah "Baby Orla." Haha. He is really fascinated with babies, so this has been pretty neat for him to experience. And he LOVES playing with cousin Ella. They've gotten to stay together at their B'Mama & Pops' house a couple of times this summer and have been together at other family events. I didn't have cousins growing up, so I'm so thankful that Abe does. Hanging out with cousin Ella at B'Mama & Pops house in June! Swimming with cousin Hayden at a birthday party in June! Meeting cousin Norah for the first time! In August, Abe and I took a trip down to Houston to stay with Ben's cousin Kristi and her husband Taylor. They have a son who is a little younger than Abe (Carter), and we thought they would have fun playing together. We were right! :) I did a jewelry show for Kristi and some of her friends from church and we got to visit and get the boys together. It was a short trip, but SO much fun! I wish we lived closer to each other! I think Abe and Carter would be regular playmates. Bathtime & getting ready for bed! And here's Abe with his Aunt Mary! (He calls her "Murry".) They are 2 peas in a pod! We had a PACKED summer (as usual)! It's hard to believe it's already come and gone. Abe got to experience so many fun things this summer, and he really made a lot of developmental strides. He's grown a few inches, promoted up to a new class at church, and has learned to put some phrases and (almost) sentences together. It's crazy how quickly kids grow, but it's so fun to watch. He's learned his shapes this summer and how to count to 10. He had a few BIG firsts this summer - swimming in Granna & Papa's pool, watching fireworks, going to his first "big movie," and getting a new puppy! Abe loves to ride in his "boat" in the pool with Daddy! We had a BLAST at Ham's & then went back to Granna & Papa's house to swim, make cupcakes, eat pizza, & watch fireworks! Abe got to go to his first movie in a real theater! We saw Ice Age, and he really loved it! He did pretty well. Can't wait for the next trip to the movies with him! So, I am MONTHS behind on blogging. I'm really terrible about blogging, and reading other people's blogs. I have no idea who even keeps up with ours anymore when I do blog, but I feel like it's a great way to "scrapbook" some of the bigger things that have been going on since we've brought Abe home. I'm still working on his baby/lifebook. Mother's Day Lunch & Shopping in San Antonio! Lots of chocolate milk on this trip! Morgan's Wonderland (San Antonio, TX)... I highly recommend this place if you have little ones or children/teens/adults with special needs. Google it...it's such a neat place! The drive home...he was wiped out after such a FUN week! 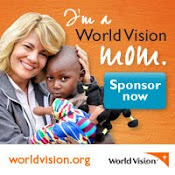 We have been married for 11 years and have adopted our son, Abe, from Ethiopia in 2011. 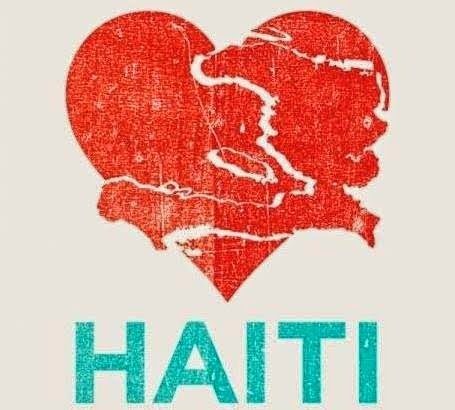 We are beginning the process of adding another precious child to our family from Haiti. The Lord has been teaching us much about what it is to be satisfied in Him and obedient to His calling. It is our prayer that He will be glorified in our lives. Psalm 115:1 has become a goal for our lives in the past few years. "Not to us, oh Lord, not to us but to you be the glory for your great love and faithfulness." We thank you for being part of our continued journey to become a family of 4!